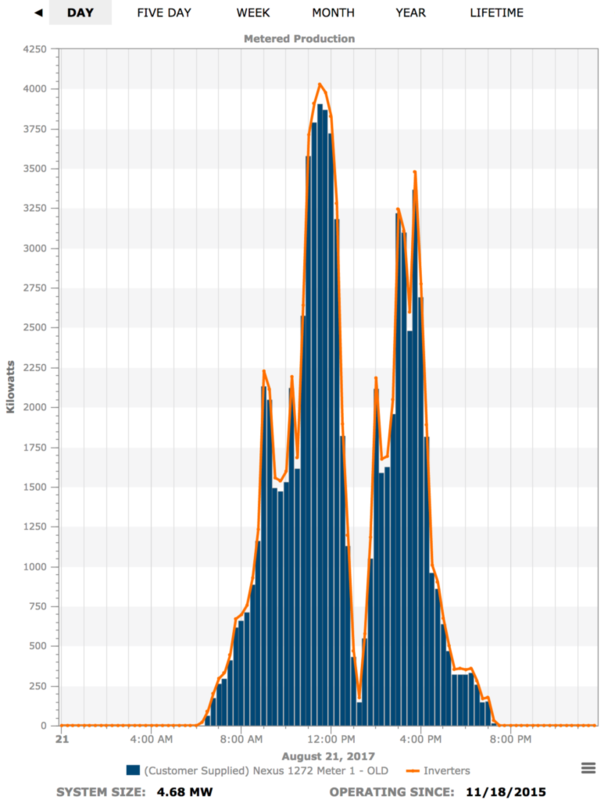 Yesterday’s eclipse prompted me to go look at the day’s power production from the University of Illinois’s solar farm. Just eyeballing the graph, I’d estimate that eclipsing 94% of the sun reduced power production by about 94%. 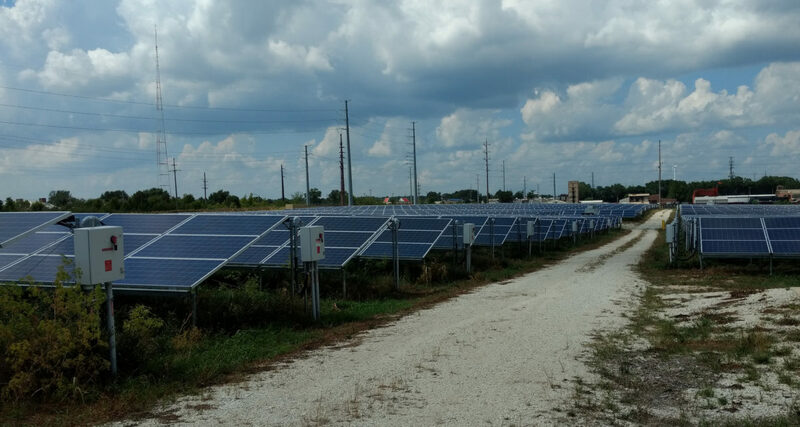 The solar farm is exactly one mile north of Winfield Village. Jackie and I got a tour of the facility a couple of months ago and I got some pictures besides the one at the top, but haven’t gotten around to writing my solar farm post yet.